The West Grove Fire Company would like to put area residents on notice that letters requesting money to support fire companies in Southeastern Pennsylvania have begun appearing in the mail. 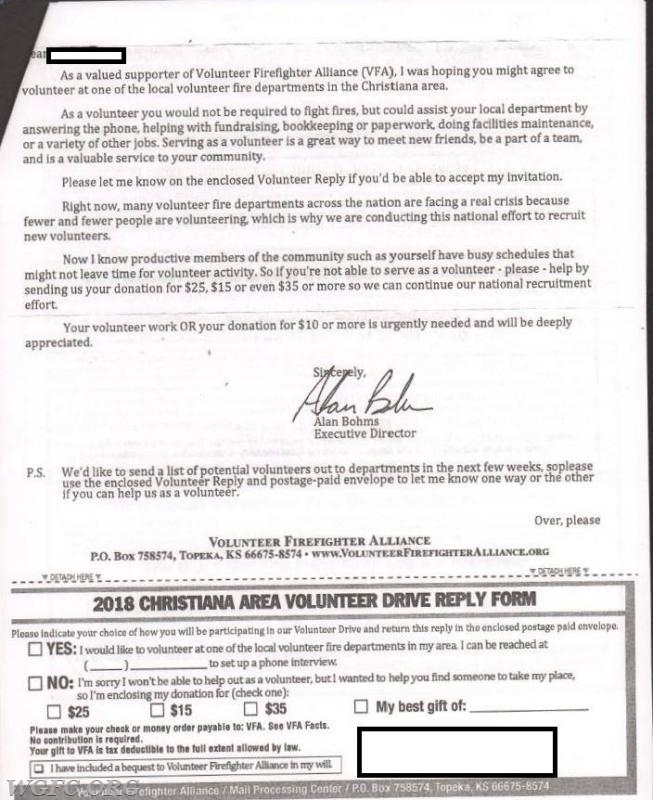 These letters purport to be seeking volunteers and donations for area fire companies in efforts made by the "Volunteer Firefighter Alliance" in Topeka, Kansas. Please know that these solicitations are NOT sanctioned by the West Grove Fire Company at all, and if you receive one, please throw it in the trash. 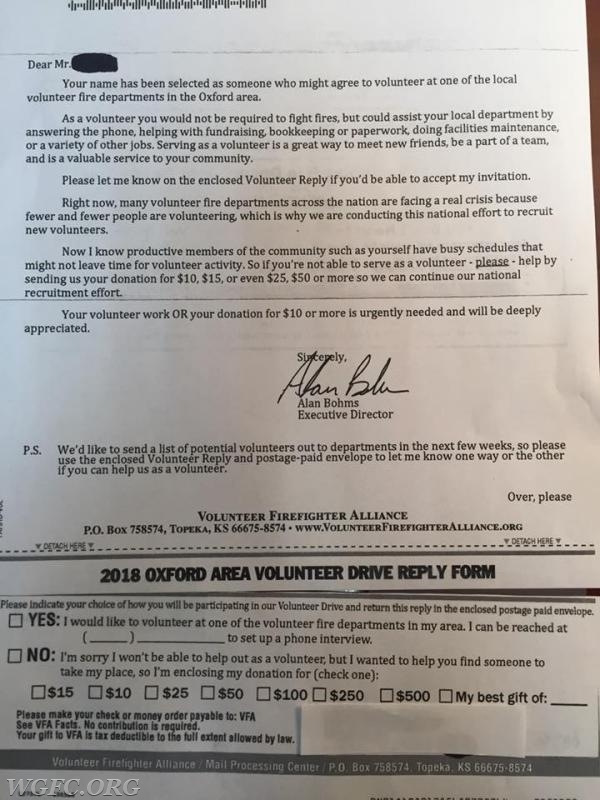 Similar letters have been received in the last few days in nearby Christiana in Lancaster County, and closer to home in the greater Oxford area. 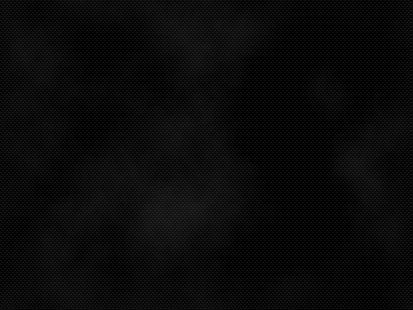 No local fire company is affiliated with the VFA -- we have not asked for their help, and we are concerned that any "donations" made to them will not reach area fire companies. The West Grove Fire Company conducts its own fundraising efforts, and solicitations are made each year directly from us to residents in the local community. We do NOT use out-of-state agencies to conduct our fund drives, and we strongly encourage area residents and businesses to ignore these national solicitations that inappropriately try to align themselves with local fire companies. The false letters all look the same (see the pictures next to this article) and will likely include the name of the local fire company. Do not be fooled: They are not official, not sanctioned, and should be thrown away. We welcome the support of the greater Avon Grove community which has been generous to the West Grove Fire Company for many, many years. If you would like to donate to the WGFC, you can do so by clicking the "donate" button on our website home page, or send a check for your tax deductible donation to the West Grove Fire Company, PO Box 201, West Grove, PA 19390. AG residents should be on the lookout for false fund drive materials claiming to be affiliated with our fire company. Please read this story for details.